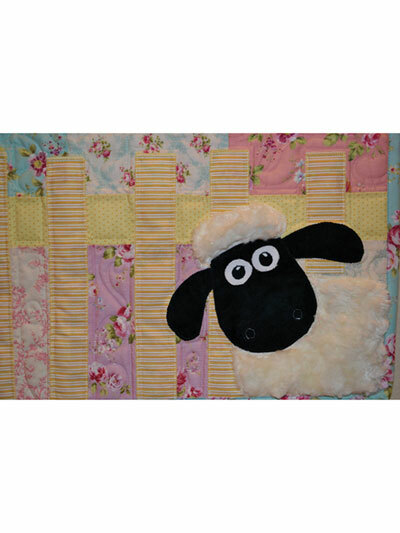 The perfect quilt for your perfect baby! 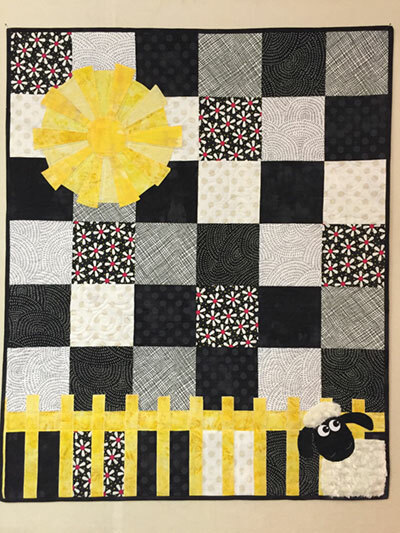 A garden full of roses, a warm dresden plate sun and one irresistibly cute lamb combine to make this the perfect way to welcome your newest little one into the world. Shown here in floral, this baby quilt could also be easily completed using solids or pastels for a more gender neutral quilt. 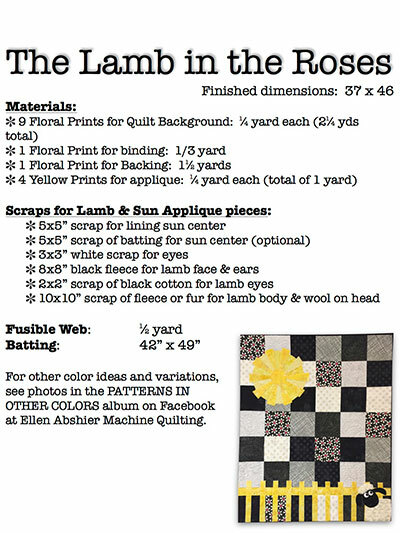 Full size, printable applique patterns are included. 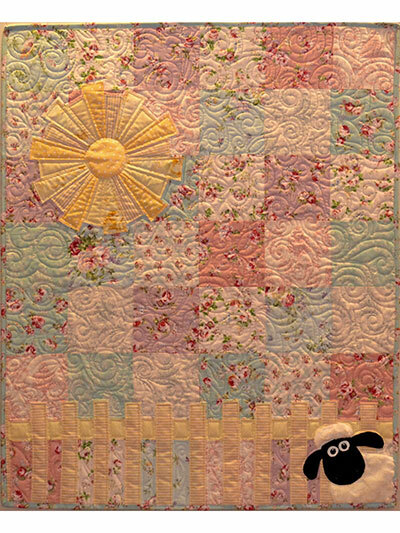 Quilt is constructed using a combination of machine & raw edge applique. Finished size; 37" x 46".